tail streamers that can add up to 2.4 inches (6 centimeters) to its length. 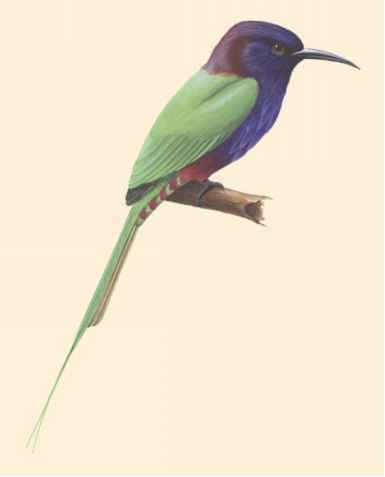 Geographic range: Purple-bearded bee-eaters are the most restricted species, occurring only on the island of Sulawesi (formerly called Celebes), Indonesia. Habitat: Purple-bearded bee-eaters are found in open areas of rainforests, often in the mid- and upper-canopy (treetop) levels of the forest, on the edges of forests, and in the lowlands where forests meet well-timbered farmland. They range from sea level to 6,070 feet (1,850 meters) in altitude. Diet: They eat flying insects, including bees, beetles, wasps, and dragonflies. Most of their feeding begins from perches located at the middle and upper canopy of forests. After capturing their food, purple-bearded bee-eaters return to their perch where they beat their prey a few times against the perch. Behavior and reproduction: Purple-bearded bee-eaters are sedentary birds (tending not to migrate), although they sometimes move to coastal areas for the rainy seasons, and then return to interior areas for dry seasons. They call out a quiet, shrill, high-pitched "szit," or "peet." They excavate burrows in steep banks located near forest streams, cliffs, high-level roads, or banks by forest paths. 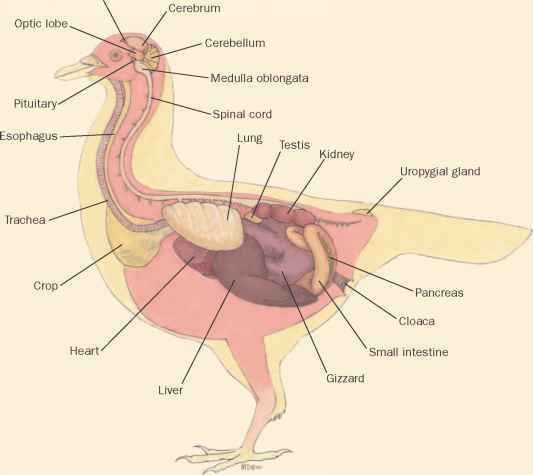 Little information is available on the reproduction processes used by the birds. However, it is believed that females reproduce at any time of the year. 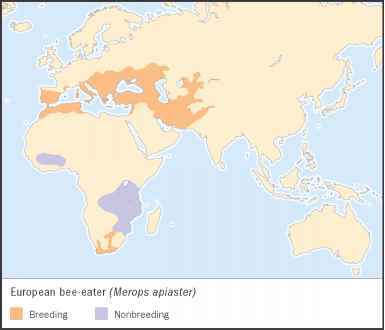 Purple-bearded bee-eaters and people: Purple-bearded bee-eaters have no special significance to humans.